I was an educator, serving as a high school music teacher. Being a music teacher and preparing students for performances requires similar skills. There are many aspects to a performance on a stage, and the same is true for thrilling your audience in the Board room or on a sales call. Once you’ve decided the topic of your presentation, you must create it. Creating a presentation is the most important part of the process. It’s important because it’s not just the content that matters, but also the visuals. 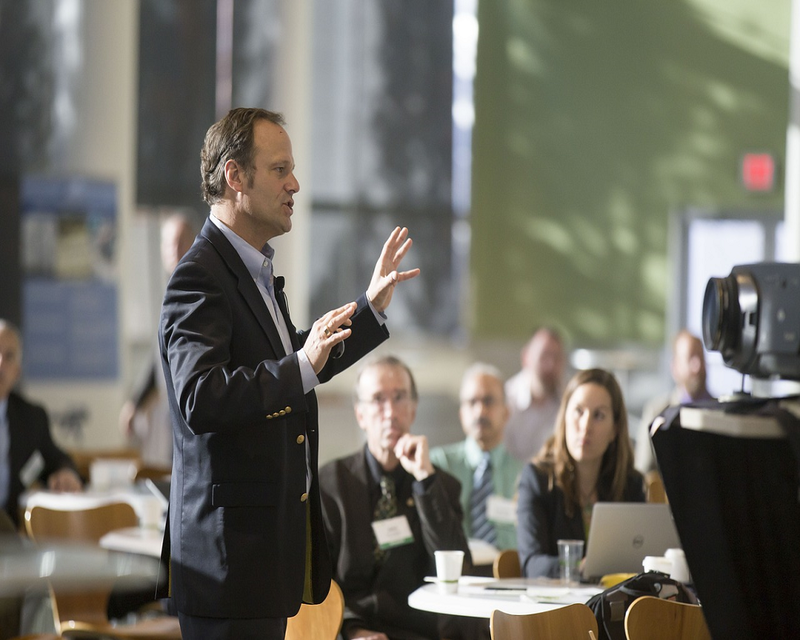 Here are some tips on creating and presenting a performance that will leave your audience standing on their chairs and wanting more! Know who your audience is before you start writing. This will allow your audience to connect with you as a person, and see your key points come alive. So that your audience doesn’t have to read every word on your slide, give clear, concise headings so that the idea is obvious just by reading the headline. Avoid the potential for irritation that comes from headings that imply the opposite of what you’re actually trying to say. Don’t put your audience to sleep! Tell funny, relevant stories and experiences to keep the audience engaged and on the edge of their seats. If funny isn’t your thing, just be yourself and stay true to who you are. The audience can tell when you are not being your authentic self. Remember that most of us are looking for clarity, ways to make our lives easier, and/or better ways to connect to people around us. Personal stories the audience them see how to do this. Everyone loves pictures. Don’t go overboard, but use a few powerful images to get your story across. Don’t read straight from your index cards or your slides. Have a conversation with your audience to keep them engaged. A great piece of advice – you know what you’re talking about, so instead of worrying remembering everything you want to say, be ok with the audience asking questions. If you left out a critical point, you’ve actually created a better opportunity for them to engage with you by asking a question. The interest in a subject only lasts for so long. Know when to move to the next topic. You may be able to tell when your audience has had enough of what you’re discussing. Regardless, try to keep your topics to a reasonable amount of time. There’s still quite a bit of debate about average attention spans, but suffice it to say that it’s not terribly long unless you’re really compelling. Keep up your energy throughout your presentation, but go all the way to the finish line! Have a strong finish and remember to thank your audience for their time and attention. A great finish could mean leaving the audience with a quick joke or simply thanking them for their time and offering them to contact you for questions after the presentation. The bottom line for giving a presentation is to just be yourself. All of us get nervous even if we have given presentations for years; and that is okay. If you’re authentic, your audience will appreciate you, your knowledge, and your time. Now, go forth and present!